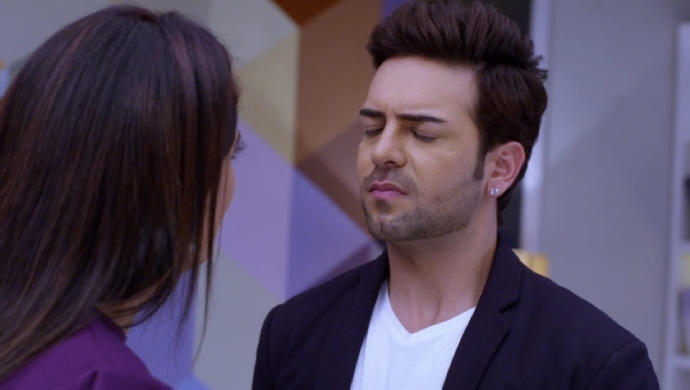 In the previous episode of Kundali Bhagya, Karan and Rishabh take Preeta away from Prithvi. They both try to hide the fact they are jealous about Preeta being close to Prithvi. Rakhi and Kareena go to Sherlyn’s house to invite her for the bachelor party they are having for Rishabh. While speaking to them, Sherlyn feels nauseous due to her pregnancy. Sherlyn tells Prithvi to leave the hospital and meet her. There she asks Prithvi to marry her. In tonight’s episode, Prithvi tries to talk sense into Sherlyn. He tells her that she has to marry Rishabh not him. Sherlyn refuses to listen to him and stands firm on her demand. Rishabh begins to think about his feelings for Preeta. He wants to be with Preeta even though her marriage is already planned with Rishabh. Karan too thinks about his feelings for Preeta. He understands that he is angry at Prithvi but doesn’t know why he feels jealous. Sherlyn, on the other hand, is telling Prithvi that she is jealous of Preeta. She is convinced that Prithvi loves Preeta and not her anymore. Prithvi tries to remind her how this is all part of a plan to get revenge on Rishabh. He reminds her about earlier when Sherlyn and he were going to be married, Rishabh got Prithvi arrested and ruined the wedding. Sherlyn tells him that she will marry Rishabh, but only if she gets married to Prithvi first. Realizing that he won’t be able to convince Sherlyn, Prithvi agrees to marry Sherlyn but just to brush off the topic. He tells her that he will go and prepare for their wedding later. Till then they should go for the bachelor party. Sherlyn refuses to attend any function till Prithvi doesn’t marry her. Preeta is back in the Luthra mansion. She is giving a massage to Daadi before they move on to exercises. However, Karan enters the room and asks Preeta to come out and talk to him. Karan tells Preeta that the bachelor party will be a great chance to catch Prithvi and Sherlyn off guard. Preeta agrees to help Karan find out Sherlyn’s secret. However, she refuses to help him prove anything about Prithvi. Will they catch Sherlyn and Prithvi’s secret? Stay tuned to find out.